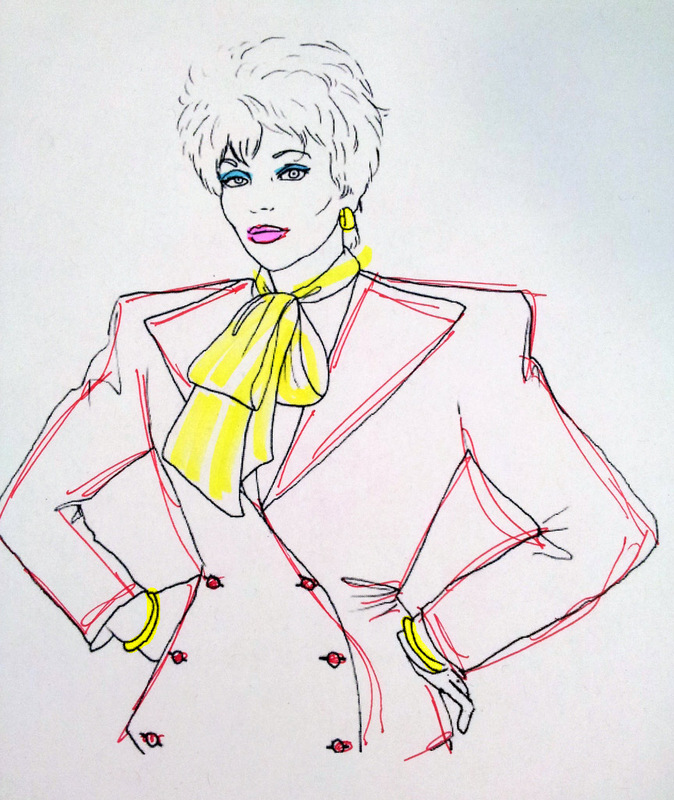 So, I sent my friend Jean a link to the Colour Me Good ’80s coloring book (also available: the Ryan Gosling coloring book… swoon). And Jean, being a true friend, was at my desk in the blink of an eye, having immediately printed out the Alexis page for my coloring pleasure. Also, it’s pronounced “Dinasty” – like in “dinner.” ‘Cause I’m fancy like that.